This is the story of one family's journey from junk food to super foods, from illness to healing! All recipes on this blog are gluten free, wheat free, dairy free, casein free, egg free, soy free, and most are refined sugar free. Organic produce is ALWAYS recommended. These tasty and adorable cookies came from a wonderful partnership between my sweet seven-year-old daughter and myself. She dreamed up the kind of cookie she wanted to make, and together we brainstormed about what the recipe should include. We set aside time for a "Mommy date" on the weekend to work on them, and all week the anticipation was killing her. When the time finally came, we had such a good time working on this project together. ("Mommy dates" are important to me and my daughters, since they don't get a lot of quality time with me due to their brother's special needs.) 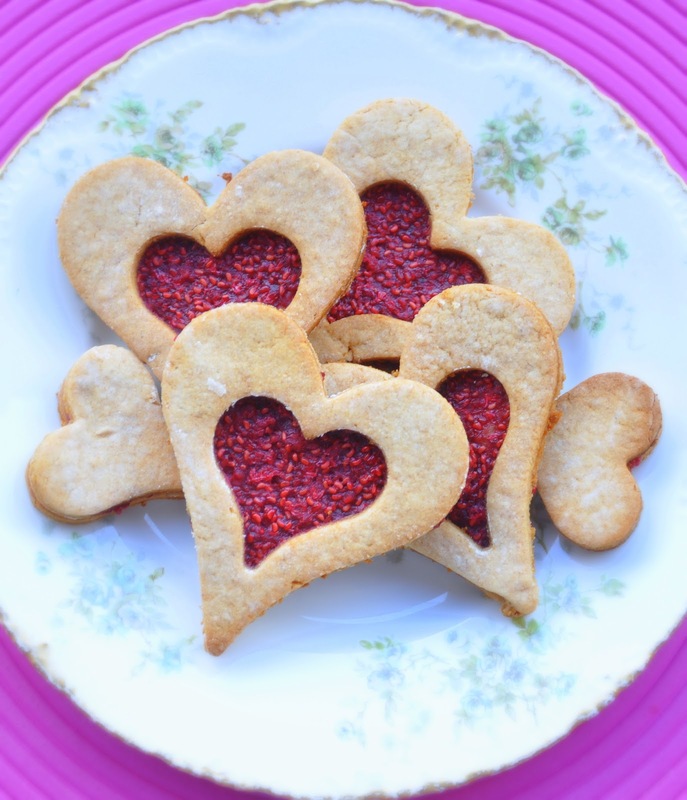 So, not only are the cookies in the shape of a heart - by her request, of course! - but they really do come from the heart. There's a lot of love in this recipe. Happily, they turned out pretty amazing on our first try. Must have been that extra love we threw in! The cookie ended up being a cross between a sugar cookie and shortbread, with a delicate texture and almond flavor. After the dough spent an hour in the fridge, we were able to roll them out and cut them into shapes. We used plenty of tapioca flour to keep the dough from sticking to everything. 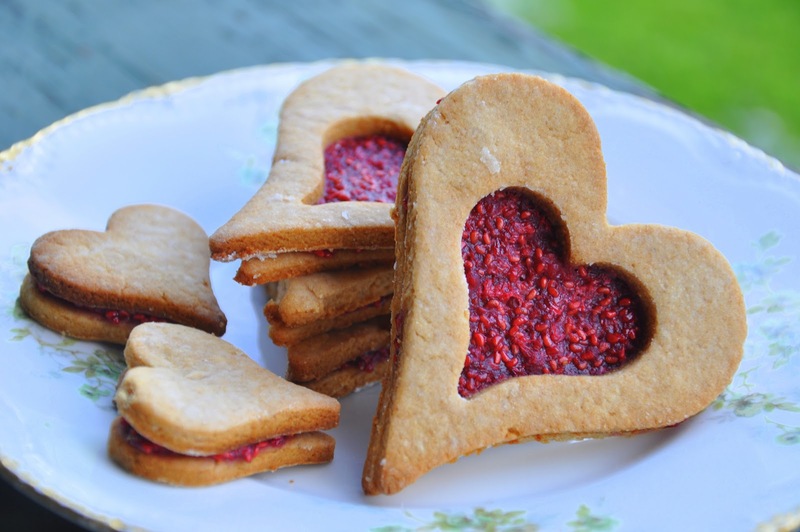 They were not difficult to make and are very allergen-friendly...not to mention grain-free and refined sugar-free! (Okay, for all you detail-oriented people out there, the recipe is: grain free, wheat free, gluten free, dairy free, egg free, soy free, corn free, and ALMOST nut-free - just substitute the almond extract with vanilla or coconut extract and it's completely nut free.) You can fill them with anything you like. 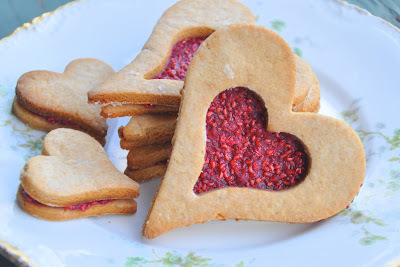 I happened to have some homemade raspberry jam on hand, but you could fill them with just about any kind of preserves, frosting, or sweetened nut- or seed-butter spread. 2. In a small bowl, whisk together the coconut flour, salt, baking soda and set aside. 3. Using an electric mixer, cream together the shortening and the honey. Add vanilla extract, almond extract (if using), stevia, and chia mixture. 4. Add the dry ingredients to the mixer bowl and mix until well combined. 5. Form the dough into a patty, wrap in parchment paper, and refridgerate at least one hour or until firm. 6. Preheat oven to 350 degrees. Dust your counter and your rolling pin with tapioca flour (arrowroot would probably work just as well). 7. Roll dough fairly thin - ours was only about 1/4 inch thick. 8. Bake for about 8 minutes or until edges begin to turn golden brown. 9. Let the cookies cool for ten minutes or so, then spread with the filling of your choice. Enjoy (and don't forget to throw in the extra LOVE, baby)!!! The night I developed this recipe, I had no intentions of coming up with an end product that would be good enough to blog about. But once my family and I had tasted it, I knew I HAD to share it with you! It was one of those happy accidents that was born out of desperation...that desperation we've all felt (and perhaps feel on a daily basis)..."What in the WORLD am I making for dinner tonight?" We all know the familiar feeling of panic. I created this easy recipe based on what I had on hand, and it turned out so...darn...good...I just had to photograph it and tell you about it. It was also very simple to make! My inspiration for this dish was a memory of how the church I grew up in would often have luncheons and serve what they called "haystacks". I don't even remember what all went into this dish, but the base was always rice, with chicken on top in a Hawaiian-inspired sauce (if I'm remembering correctly). Then, there were all kinds of additional toppings available, like pineapple, fresh tomatoes, raisins, and a bunch of other stuff you could stack on top of your "haystack". I decided to try a version of my own that celebrated Mexican flavors instead of Hawaiian, but it still has that tasty combination of spicy and sweet. It's also a healthier version with brown rice, low-fat ground turkey, and a yummy salsa-based sauce that doesn't contain sugar (as most Hawaiian sauces do). The kids and I ate dinner before my husband did, as he was out doing some yard work. When I first tasted it, I said, "Wow! This is like a party in my mouth!" Later, when my husband came in and ate his, the first thing he said - no joke - was "Wow! This is a party in my mouth!" Great minds think alike, I guess?! So I present to you my version of the haystacks of my youth, Mexican Haystacks. 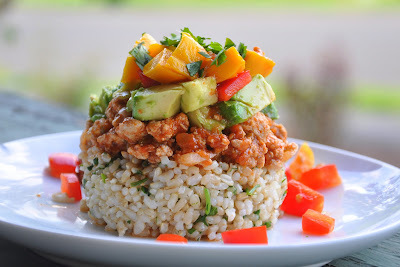 You start with a base of cilantro rice, which is simply fresh cilantro stirred into brown rice. Next, add a layer of tender ground turkey that has been browned, then simmered with onions, garlic, and salsa to make it full of flavor. Then, top with the fun stuff: smooth avocado, crunchy red pepper, and sweet, juicy mango. Last, a few sprinkles of fresh cilantro on top, and voila! Or perhaps I should say...ole! Start your brown rice in a pot on the stove, or in a rice maker. Next, add ground turkey and chopped onion to a large saute pan. Add garlic powder and salt and pepper. When the turkey is browned, add 4 cups of salsa. Bring the salsa to a boil and then reduce the heat to a simmer. Cover and simmer for about 20 minutes. In the meantime, chop the cilantro, pepper, avocado, and mango. 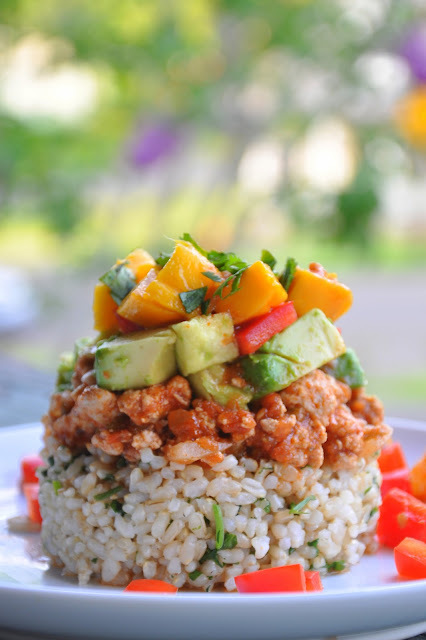 When the rice is done, simply stir in almost all of the fresh cilantro, leaving just enough to garnish each dish. I served each person with the rice and meat already on the plate, and everybody had fun adding their own toppings. Kids always like to feel that they "made" their own dinner! I'd recommend serving this with a nice big green salad on the side. *Also, the recipe above made enough for our family of five to have leftovers the next day. If you are cooking for a smaller family, just chop one avocado, pepper, and mango. You can also make less rice and only 1 lb. of turkey. If you do this, reduce the salsa used to only 2-3 cups. linking up to Allergy-Free Wednesdays! The neurologist couldn't keep his eyes off my son. "The change in him is remarkable!" he said. We were back at the doctor a full seven months after the last visit. During that time, I had changed Caleb's diet radically and eliminated gluten, wheat, yeast, dairy, eggs, corn, soy, shellfish, peanuts, tree nuts, sugar, artificial flavors/colors/sweeteners. As the doctor is shaking his head, marveling at what he sees in Caleb's behavior, he asks, "Do you have any video of him from before the diet change? Because he would make a great case study for the medical board! He is proof that diet change can improve autistic behaviors." Our neurologist is a believer in the role that diet can play in the treatment of autism, but the medical board of his hospital is not. They are definitely behind the times, and he felt that Caleb's improvement was so remarkable that it would be good for them to learn about his case! During that same appointment, he confirmed what I already suspected, which was (finally) an official diagnosis of Autism Spectrum Disorder (still unspecified at this time). He also agreed that Mitochondrial Dysfunction was a very likely root cause of the autism and we are pursuing further lab testing at this time. Originally, I had embarked on this new "diet" as a way to determine if I had food sensitivities. I had just a shred of hope that things could get better for me (you can read more about my journey here). I also had hope that it might make a difference for my son, Caleb. I had heard that many children with autism, ADHD, and various other disorders, benefited from a diet that was free of gluten and dairy products. Oh. My. Word. Not only did I start losing weight and feeling amazing, but my son started to come alive. He came out of his "fog" and was so much more alert and interactive with everyone around him. He began to have more energy and was able to do things physically that he couldn't do before. A few more months into this diet change, I began to devote myself to research regarding Caleb and his condition. I had a suspicion that he might have autism, but I felt I needed to educate myself more on what autism was. I began to read everything I could find online. I checked out a few books from the library, and had a conversation with Lexie of Lexie's Kitchen, and read some articles from various medical journals...and my whole world changed. 1 .These conditions are caused and/or made worse by environmental triggers. This could be a myriad of things...exposure to pesticides, dangerous gases (like car exhaust), the nasty ingredients in vaccines, constant exposure to allergens, pesticides, etc. We are talking about children whose immune systems are weaker to start with, and when they get exposed to something that is really not good for any of us - it can start a downward spiral. For some children, this happens while still in the womb. For others, it happens when they get immunized or there is a combination of exposures to various environmental pollutants. I am over-simplifying a bit - but it's been quite eye-opening to digest the amount of information there is on it. This is a childhood epidemic that CAN be reversed. I wish that when I was pregnant I had known what I do now...my pregnancies would have looked TOTALLY different, and in fact, my lifestyle before even becoming pregnant would have looked different, too. 2. Children with autism - and ADHD and allergies and OCD - can "recover". There is hope! It takes a huge commitment on the part of the family, but it can be done. Most traditional doctors don't have the answers for this, though - they rely heavily on drugs (as they were taught to in medical school) - while experiential evidence has shown that diet changes, environmental changes, and various bio-medical treatments give the greatest results. Most typical MD's are out of the loop because they are busy with their practices and aren't able to keep up with all the latest research...not to mention that autism has been affecting children at such an alarming rate it's been difficult for them to keep up. So it's an emerging field that requires a fair amount of research on the part of the parents. But it's SO worth it! He's not strong enough to walk, so he's figured out another way to get around...scooting on his bottom! - We are considering possibly moving out into the country, where the air is cleaner and we can grow more of our own organic food. This list may seem to some like I have gone off my rocker and become a totally paranoid mama. Though I confess there are days I feel like that (! ), those who have known me a long time can attest to the fact that I was never a person who cared about these sorts of thing before. That's what knowledge does to you. When you discover that there are things that you thought were perfectly harmless, making your child sick, you start to feel a little sick yourself. It's taken me weeks, months, to process what I am learning...and I'm still processing. But, after you pick yourself up off the floor, you realize that some of the knowledge you've gained can be converted to power. In the same way that all these things contribute to my child's illness, removing them and replacing them with healthier options can actually help in healing my son. So, while it is very overwhelming, it's also very empowering. I don't have a son with an illness for which there is NO help. Granted, you will find medical professionals who will tell you that. But it's not true. I've read too many hope-filled stories of mothers helping their children to recover from autism. And I plan to add our story to that list. 1. Rinse well, just like you rinse rice. This means you add water to the pot with the quinoa, move your fingers around in the pot several times till the water is a bit cloudy, pour the excess water off, then add more water and repeat. You could do this for 3 or 4 minutes! 3. 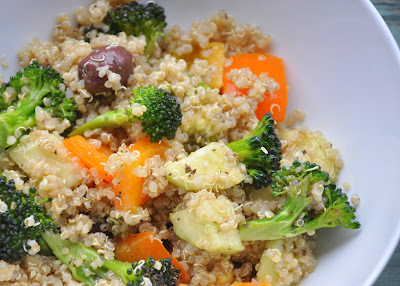 Bring water and quinoa to a boil, then reduce heat to a simmer and cover. Simmer for about 20 minutes. 4. Remove lid, fluff quinoa with a fork, and let it sit for about five minutes. 5. 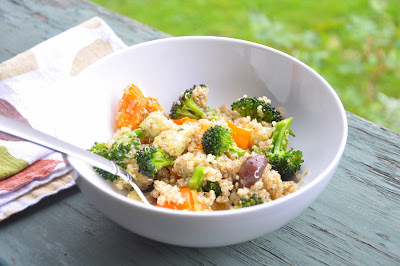 To cool it quickly for quinoa salad (since I never seem to think far enough ahead for nice cold quinoa salad) spread it in a shallow baking dish and put it in the freezer while you prepare your vegetables and dressing. 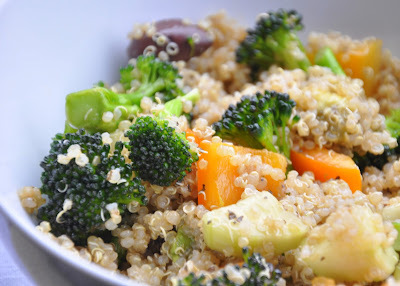 In a perfect world, the quinoa would be made and chilled before you start dinner prep. But who lives in a perfect world? Chop your veggies. Add them to the quinoa. (I've been saving glass jars that some of my foods come in and they make great dressing jars!) Add all the dressing ingredients to a small glass jar and then shake it up - much faster and more efficient than trying to whisk your ingredients together. Anyway, pour it over the salad...mix it all up...and enjoy! The colder the better, so you can easily make this salad ahead of time and serve chilled. Yummers! P.S. If you enjoy my posts, please "like" Whole & Free on Facebook! I interrupt these healthy messages to bring you something decadent. Something moist, rich, and dark. 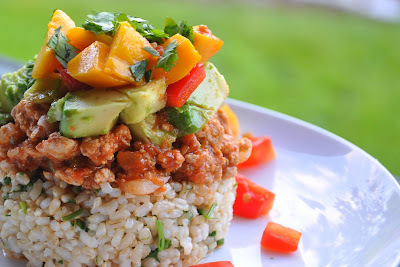 Something that manages to be full of flavor, but not full of refined sugar or grains. And, of course, it's gluten free, dairy free, egg free, grain free, corn free, and soy free. 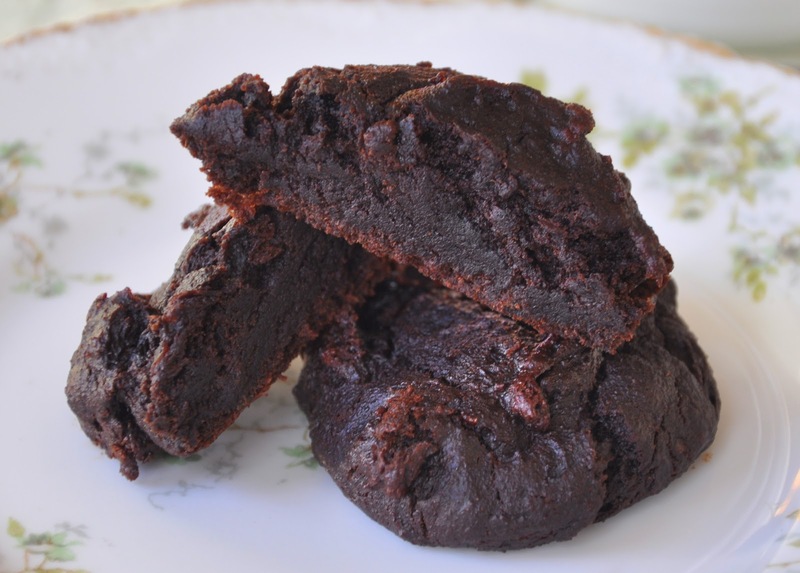 In fact, what I bring to you today is a recipe that is so versatile it will make cookies OR brownies...your choice! The first time I made this recipe, I used creamy almond butter as my nut butter of choice, and made cookies. The cookies were extremely moist and cake-like, and I thought...hey! These would make great brownies! The second time I made the recipe, I used chunky peanut butter instead. The brownies were still moist, but had a lovely added texture of crunchy peanut bits. 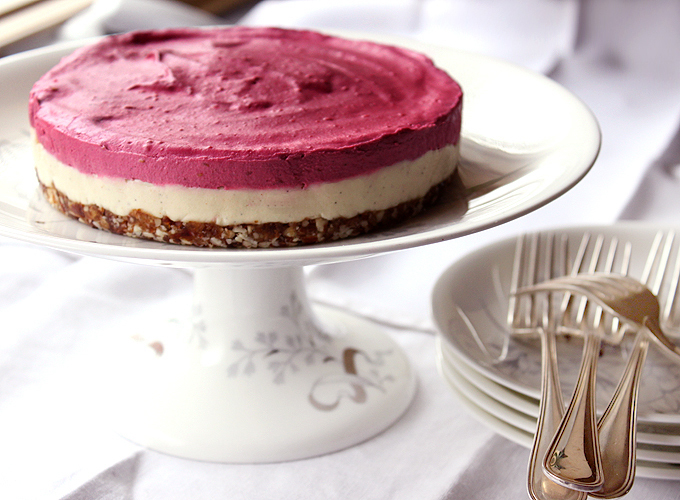 This recipe would work just as well with Sunbutter or another nut butter, I'm sure. I found the almond butter was mild enough it took a "back seat" to the flavors of the cocoa, molasses, and banana...but the peanut butter held its own and made it more of a Peanut Butter Brownie. Also, I made these without chocolate chips, because I didn't have any on hand, and trust me - they were plenty decadent. However, chocolate chips would be a lovely addition that would really put these over the top! 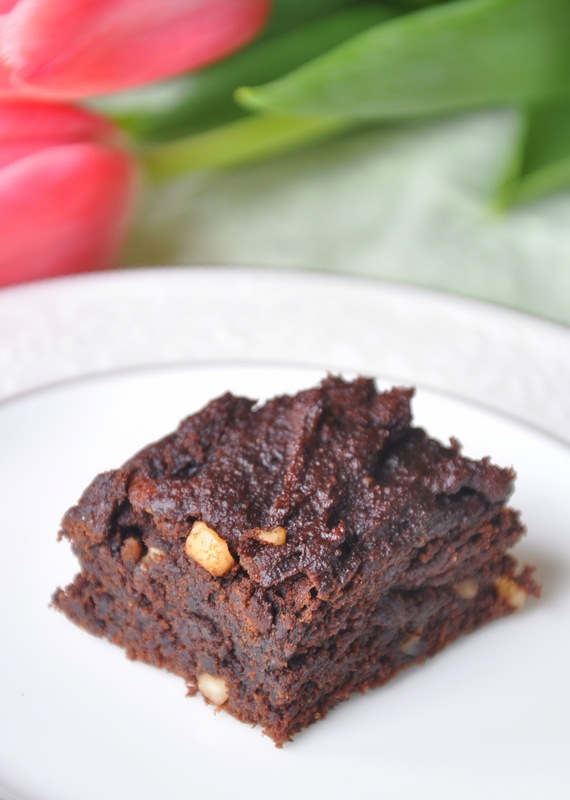 This is about the simplest brownie recipe ever. So - experiment - have fun with this - and let me know what you think! Preheat oven to 350 degrees. Mix dry ingredients in a bowl. Mash bananas and add nut butter and molasses to them...then add wet ingredients to dry and mix well (add chocolate chips if you are using). Batter will be very thick. For cookies, place rounded spoonfuls on a cookie sheet and gently press down with fingertips, then bake for 10-12 minutes. For brownies, spread into a 9"x9" pan and bake at 350 degrees for 25-30 minutes. The first time I made these, I used creamy almond butter and made them into moist, delicious cookies. Yum! 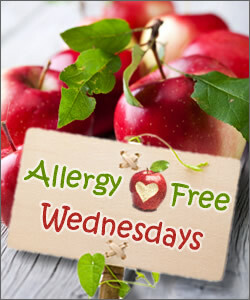 Linking up to Allergy Free Wednesdays! When I began making an effort to get healthy, I would hear about greens and how good they were for you and how they were super foods and yada yada yada (I probably rolled my eyes, too). I had no idea what "greens" were or how to cook them. 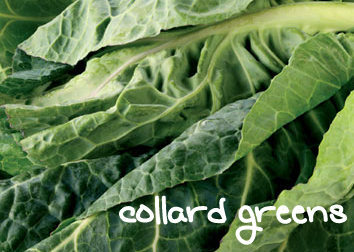 Not only that, but the thought of eating warm, wet, slimy greens was...shall we say...less than appealing. But as with so many different foods throughout this process, I've discovered just how good that green stuff can be! I wish someone would have taken me by the hand and given me a tour of the "greens" section of the grocery store. I didn't like feeling like I didn't know what I was doing...but everybody's gotta start somewhere, I guess. Obviously these are not the only "greens" out there, but I thought I'd just list my top three favorites with photos and a simple recipe that will work for any one of them. First, heat olive oil in a large skillet or Dutch oven. Add the chopped onions and saute them until translucent. While onions are cooking, I prepare the greens by slicing the leaves off their center stems (the stem is fibrous and difficult to chew) and then chopping them into pieces (roughly a couple of inches square). Once the onions have become nearly translucent, add the greens to the pan. Add the chopped garlic and salt (I usually throw in a couple of pinches, probably about half a teaspoon worth?) and pepper (probably about 1/4 teaspoon). Saute the greens for a couple of minutes until they look "wilted". Then, add the chicken stock or water. Bring it to a boil, then reduce heat to simmer and cover. Simmer for about 10-15 minutes, or until the greens are nice and tender. Enjoy! 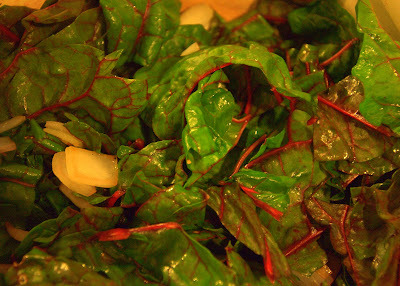 This is my Swiss chard in the pan last night, after I had sauteed them for a couple of minutes, but before I simmered them. (They got eaten so fast by my hungry family, I didn't get a chance to take a picture when they were finished.) 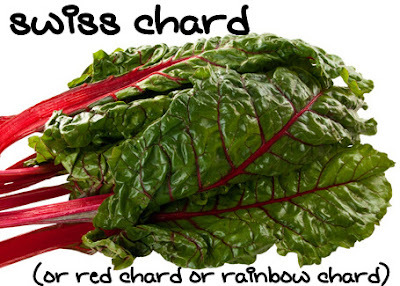 They will lose much of their lovely green color during the cooking process, but don't let their wilted appearance at the end fool you...not only are they the most nutrient-dense food you can possibly serve your family, but they also happen to be delicious! I've been completely converted. Healthy, Allergy-Friendly Cooking - you CAN do it! I made this for Easter - the Raw Cashew Raspberry Dreamcake from My New Roots (although I used strawberries) - it was my first non-dairy cheesecake-making experience and it turned out pretty good! There has been so much going on in my life lately, I hardly know where to begin. There has been much cooking and very little picture-taking of said cooking. There have been many trials (and a few failed attempts) as I attempt to master healthy, allergen-free baking. There have been new recipes tried...and enjoyed (though some more than others)...and new recipes created. But I don't have photos for you yet or anything written down, mostly because I've been experiencing a weird phenomena recently that is new to me: people have actually been making my recipes. I'll stop for a moment to let that sink in. Oh, we're not talking LOTS of people...but a few people have ventured outside their comfort zone and taken a chance on one of MY recipes. This both encourages me and scares me. It encourages me to keep on cooking, experimenting, photographing, writing. It scares the heck outta me because I don't want to put just any ol' recipe on this blog...I only want the GOOD ones. Nay, even the GREAT ones. So I can't tell you how many recipes I've created in the last few weeks that still need tweaking before they are good enough for you. I made these Almond Butter Chocolate Chip Cookies as a treat for the kids a couple of weeks ago - they were flour-less, full of protein, free of refined sugar, and delicious! The thing I would say to anyone who is new to any kind of cooking, but particularly of the newly-healthy variety, is: DON'T BE AFRAID TO MAKE MISTAKES. So you don't know exactly how to cook that crazy-looking vegetable you bought on a whim or that came from your CSA. Just TRY. (Roasting almost always works!) Be prepared to make mistakes, because that's how you learn. I am trying to believe this as I write it, because it's not easy stuff for a perfectionist. But this whole world of healthy cooking...and especially gluten-free, vegan, corn-free, soy-free, refined sugar-free baking...is so new to me that it would just be weird if I knew how to do everything perfectly, right out of the gate. And there's a big learning curve. But there's also a big payoff: health. I had to remind myself of the payoff just the other day as I spent a Really Long Time making homemade gluten-free, yeast-free, dairy-free, egg-free, soy-free, corn-free cinnamon rolls for our Easter breakfast. 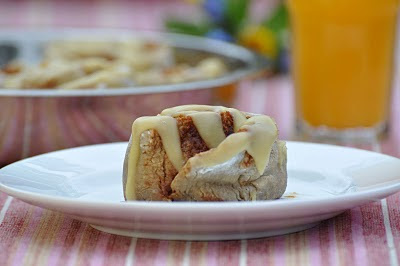 I found myself remembering fondly the days that on a special holiday I would just pop open a can of those pre-made, refridgerated cinnamon rolls, plop them into a pan, bake them and then pretend I had slaved for hours over them. I shared out loud my happy memory of those days with my husband, who thankfully offered a different perspective: "Yes, but it turns out, those were KILLING us!" Perhaps a little melodramatic, but still a lot of truth to it. Our diet before six months ago was full of that garbage that was at the very least making us sick, chunky, and miserable, if not also slowly killing us. And ya know what? Other than that moment of weakness where I really missed the convenience of the refridgerated, canned variety of cinnamon rolls...I didn't miss a thing from last year's menu. Really, truly. It's totally possible to re-train your taste buds (and that of your family.) 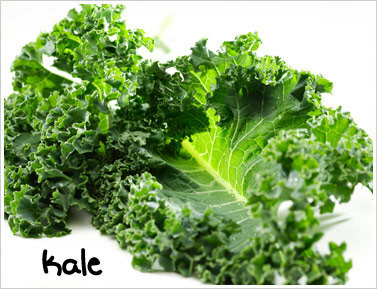 to fall in love with green, healthy, and fresh. And this meal didn't make me feel terrible...it made me feel great. That is really rewarding and makes all the extra effort worth it! 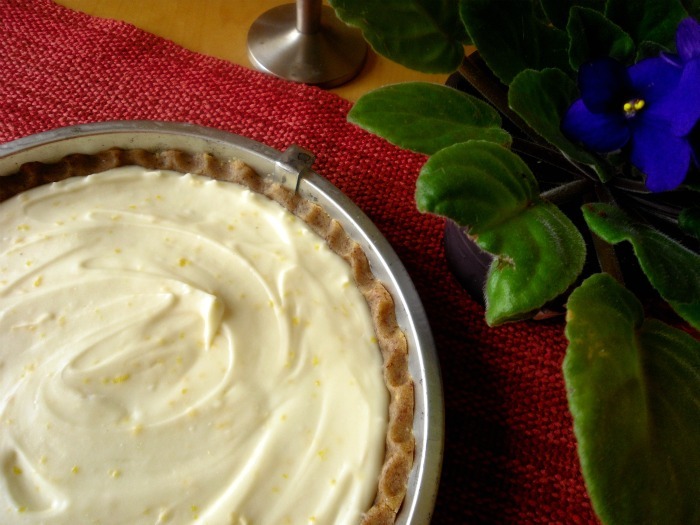 This Raw Lemon Tart was a BIG hit at our Easter dinner! My family and I are on a journey towards healing, and we started with radically changing how we ate. Initially, this change brought healing and weight-loss to myself...now it is making an impact on my son Caleb who is developmentally delayed. Let's journey together!